Eight days after winning Super Bowl LIII, New England Patriots head coach Bill Belichick has renamed his famous fishing boat. Spotted by fan Evan Landy, Belichick’s boat got a paint upgrade from “VII Rings to “VIII Rings”. The boat appears to be in a tropical location far from the cold New England winter. Belichick’s eight rings come from his tenure with the Patriots (6) and as an assistant with the New York Giants (2) under Bill Parcells. Belichick donated a previous fishing boat named “V Rings” to Sail Newport in 2017. 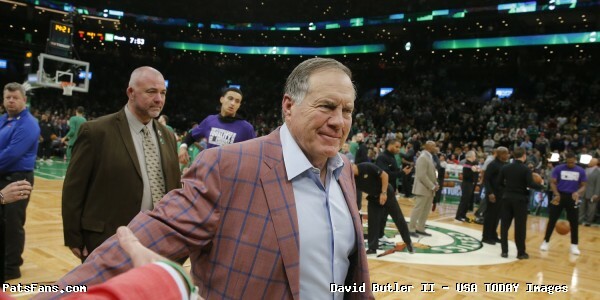 This entry was posted in 2018 Patriots playoffs, Patriots Photos, Super Bowl LIII and tagged Bill Belichick on February 13, 2019 by Robert Alvarez.